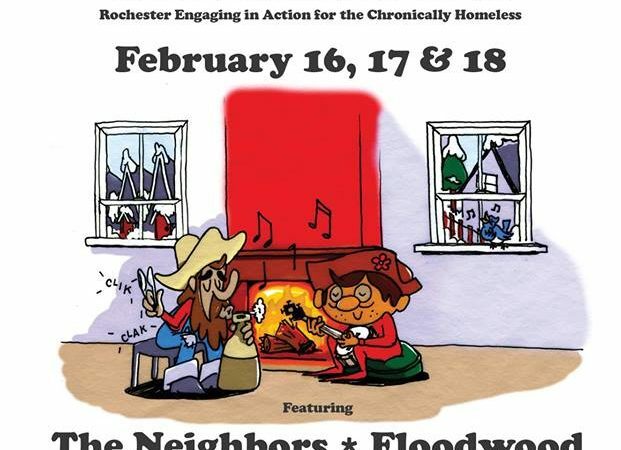 One noteworthy music venue illustrating this trend is Anthology in Rochester, bringing concertgoers a three-night music marathon. On Friday, Dec. 29, Rubblebucket soars into Rochester with special guest, Cuddle Magic. Following that, Forever Party, a two night reggae-infused New Year’s celebration will thunder into the humble city on Dec. 30 and 31. Night one of Forever Party will showcase Ithaca’s reggae juggernaut John Brown’s Body and co-headliner, Rochester’s Giant Panda Guerilla Dub Squad. Thunder Body, another Rochester reggae powerhouse will open up the night. On night two, G.P.G.D.S. will perform again with the legendary Easy Star All-Stars headlining and the Saplings opening up the night. 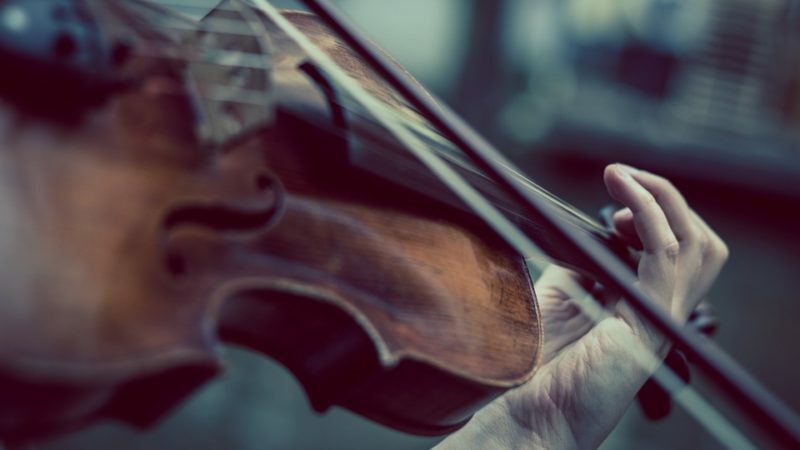 It’s safe tosay harmonious melodies will echo through the streets New Year’s weekend. 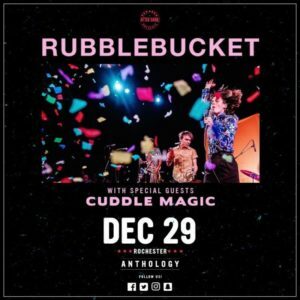 Indie-dance sensations Rubblebucket of Brooklyn, have developed a cult-like following in Rochester, stopping by the city annually ever since they began creating music extensively over ten years ago. Rubblebucket is set to entertain its audience with the harmonious bliss of howling vocals, a horn section, and a crunchy synth. Rubblebucket’s eccentric take on funk and pop music fuses into a genre better left undefined. Dec.29 is just the beginning of NYE at Anthology in Rochester. Dec. 30, night one of Forever Party, marks John Brown’s Body’s second to last show before taking an indefinite hiatus. This hiatus will hold a place in New York history as it may mark the end of John Brown Body’s nearly 25 year journey. Since their formation in the mid 1990s, J.B.B. 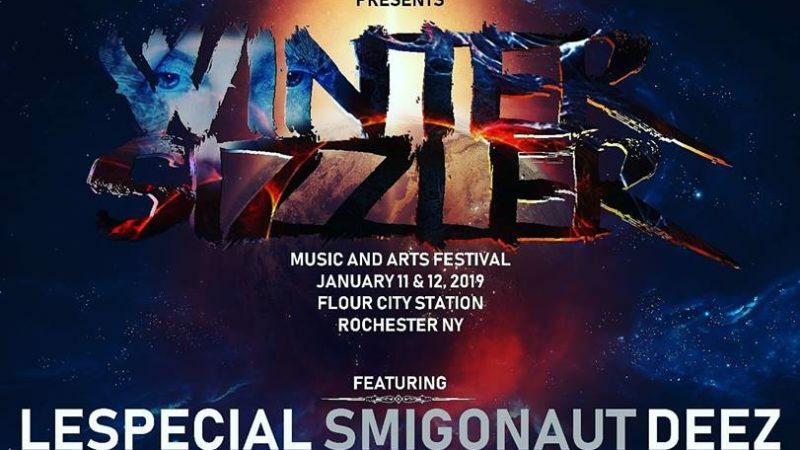 has spearheaded the resurgence of roots and dub throughout the region, modernizing the genre, and keeping it relevant with their “Future Roots” style. This bittersweet evening will be their last headlining show for the foreseeable future. Dec. 31 will be their final show indefinitely as they open for Stick Figure at the House Of Blues in Boston. On Dec.31, New York City’s Easy Star All-Stars will play their internationally recognized album, Dub Side Of The Moon in its entirety. For those who missed the pun, the album is a Reggae/Dub interpretation of Pink Floyd’s historic Dark Side Of The Moon. Easy Star All-Stars masterfully echoes Pink Floyd’s mysterious psychedelia through the lens of a Jamaican rude-boy. Following the Easy Star All-Stars on night two of Forever Party, the proverbial reggae torch will passed to Rochester’s Giant Panda Guerilla Dub Squad for their second night in a row. G.P.G.D.S started rocking roots reggae in the mid 2000’s, creating a buzz by regularly touring and opening for John Brown’s Body. Rightfully earned, the young band grew into one of the most respected reggae acts in the U. S. Their seamless ability to cross between the genres of reggae, jam, and country has earned them the reign of Rochester’s top music festival band. On Dec. 31, G.P.G.D.S will hold the torch as they return to set the city of Rochester aflame on New Years day.